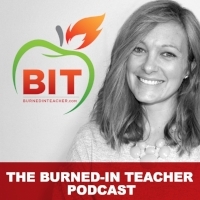 In this episode, you'll get an insider's view into Burned-In Teacher's Small Group Program. You'll meet Janelle, a teacher who started this program skeptical and wondering if this would be just 'another thing' on the long list of teacher 'to-dos'. The success and transformation you'll hear in this episode will prove to be true, what I've told you all along... YOU. ARE. IN. CONTROL!